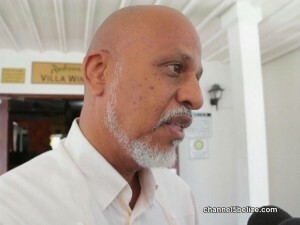 Home » Miscellaneous, People & Places » Prime Minister on Leadership of O.A.S. Belize’s Ambassador to the Organization of American States is aspiring to succeed Surinamese national Albert Ramdin as Assistant Secretary General to the O.A.S. The seat becomes vacant, as does the top job of Secretary General next May. So the horse trading has been taking place for months with member states exchanging support for their respective candidates. Now, as we understand it, there is support from Central America for the candidacy of Ambassador Nestor Mendez to move up to Assistant Secretary General. As it relates to the top spot of Secretary General, Belize has traded support with Uruguay. Guatemala is also vying, but the Prime Minister says, Uruguay is ahead of the game.